Our soup bowl is a multi functioning item of our Titan range serving as a soup, stew or dessert bowl. The deep bowl shape avoids unsightly spills whilst the wide lip makes serving easy and gives the bowl a contemporary feel. 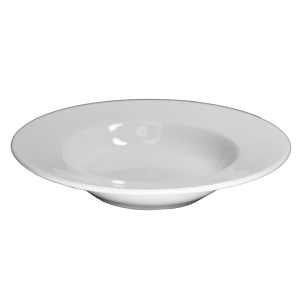 This 9” dish doubles as a bowl for softer desserts or dishes with sauces. Copyright © 2017 Hire Catering Equipment . All rights reserved.